Eduardo joined Watsi on February 11th, 2016. 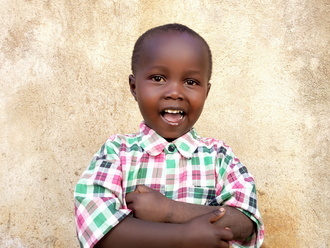 Three years ago, Eduardo became the 1785th member to automatically support a new Watsi patient every month. Since then, 3,301 more people have become monthly donors! 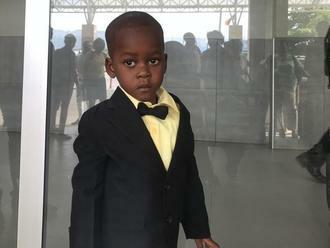 Eduardo's most recent donation supported Roodolph, a toddler from Haiti, to fund prep for cardiac surgery. Eduardo has funded healthcare for 37 patients in 10 countries. Nicholas is a boy from Kenya. He is an only child. Nicholas was born with a perfect hearing. Unfortunately, when he was four, he had meningitis and lost his hearing. This has interrupted his social and academic life. Upon audiogram testing, he had hearing aids recommended. Now, he is scheduled to receive hearing aids on March 5. His family needs help raising $929. Nicholas’s father says, “My prayer is to have my son treated and resume his hearing ability. I am hopeful that it will be possible for him to talk with ease again." Joseph is a farmer and motorbike taxi operator from Kenya. He is a father of four children. On Christmas, Joseph collided with an oncoming vehicle while riding his motorcycle. He sustained fractures of the tibia and femur, as well as a hip injury. He is not able to walk or move and is also in chronic pain. Fortunately, surgeons at our medical partner can help. On January 12, Joseph will undergo a fracture repair procedure, called an open reduction and internal fixation. This procedure will help him walk easily again. Now, our medical partner, African Mission Healthcare Foundation, is requesting $1,451 to fund this procedure. Joseph says, “My prayer is to walk out of the hospital with energy and be able to provide for my family. Kindly help me out." Ma Hnin is a 31-year-old woman from Thailand. She lives with her son and husband in War Ka Yauk Village, Mae Sot District, Tak Province. Her son is a student who studies at a migrant school. Ma Hnin was diagnosed with a heart condition that involves a malformation of the mitral valve, the valve between the left atrium and left ventricle. This valve controls the flow of blood, but certain conditions may cause blood to flow backward or the valve to narrow. Currently, Ma Hnin has bad back pain, feels fatigued, experiences heart palpitations, and has difficulty breathing. Our medical partner, Burma Children Medical Fund, is requesting $1,500 to fund a mitral valve replacement for Ma Hnin. The treatment is scheduled to take place on December 4 and, once completed, will hopefully allow her to live more comfortably. “If I feel better after surgery, I want to open a small shop and I want to sell snacks to increase my family’s income,” says Ma Hnin. Elizabeth is a young student from Kenya. Her mother is a casual laborer, and her father is a farmer. Elizabeth has clubfoot of her left foot. Clubfoot is a condition in which the foot is twisted out of shape. This causes difficulty walking and even wearing shoes. Fortunately, Elizabeth traveled to visit our medical partner's care center, AIC Cure International Hospital. There, surgeons will perform clubfoot repair surgery on October 15. Our medical partner, African Mission Healthcare Foundation, is requesting $1,224 to fund Elizabeth's clubfoot repair. After treatment, she will be able to walk easliy. “My desire is to see my daughter walk like other children. I am kindly requesting for help. God bless you,” Elizabeth mother says. Fidelica is a preschooler from Haiti. She lives with her parents and two older brothers in a neighborhood of Port-au-Prince. She goes to preschool and likes drawing and watching cartoons. Fidelica has a cardiac condition called atrial septal defect. A hole exists between the two upper chambers of her heart. Fidelica will fly to Dominican Republic to receive treatment. On October 4, she will undergo cardiac surgery, during which surgeons will use a patch to close the hole in her heart. Another organization, Haiti Cardiac Alliance, is contributing $5,000 to pay for surgery. Fidelica's family also needs help to fund the costs of surgery prep. The $1,500 bill covers labs, medicines, and checkup and followup appointments. It also supports passport obtainment and the social workers from our medical partner, Haiti Cardiac Alliance, who will accompany Fidelica's family overseas. 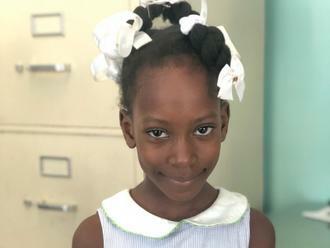 Her mother says, "We are very happy about this surgery so that Fidelica can start kindergarten without having health problems!" Wilson is a laborer from Kenya. He is the third born in a family of three. About three weeks ago, Wilson fell from a house and hit his left leg, causing a small cut. He was taken to a dispensary, where the cut was sutured. Later, he developed severe pain and was diagnosed with a femur fracture. He is not able to walk on his own, and he is in chronic pain. Fortunately, surgeons at our medical partner can help. On September 11, Wilson will undergo a fracture repair procedure, called an open reduction and internal fixation. This procedure will helo him walk easily again. Now, our medical partner, African Mission Healthcare Foundation, is requesting $998 to fund this procedure. “I have had so much pain and suffering. I hope Watsi will accept to assist me so that I can be well," says Wilson. Blessing is an infant from Kenya. She is the last born in a family of six children. Both of her parents are laborers. Blessing was born with spina bifida, a type of neural tube defect in which the spine does not properly close around the spinal cord. Without treatment, Blessing is at risk of lower-limb paralysis, infection of the exposed nervous tissue, development of tethered cord syndrome, and possible developmental delays. Our medical partner, African Mission Healthcare Foundation, is requesting $1,097 to cover the cost of Blessing's spina bifida closure surgery. The procedure is scheduled to take place on July 11. This procedure will hopefully spare Blessing from the risks associated with her condition, instead allowing her to grow and develop along a healthy trajectory. Blessing’s mother says, “My wish is to have my child receive quality healthcare as early as possible. I am hopeful she will be well." Ann is a wife and mother of five children from Kenya. Her husband is a cobbler in Nakuru, and some of her children are in high school. Ann cares for her mother, who was diagnosed with breast cancer three years ago and is recovering from treatment. Ann has been diagnosed with breast cancer. Without treatment, the cancer may spread to other organs. A mastectomy, a surgery to remove breast tissue, has been suggested to rid her body of breast cancer and to prevent the cancer from metastasizing. Our medical partner, African Mission Healthcare Foundation, is requesting $816 to cover the cost of a mastectomy for Ann. The procedure is scheduled to take place on May 9. After treatment, Ann will hopefully return to a cancer-free life. Ann says, “My hope is that soon I will be treated and fight cancer with the resilience with which my mother has fought it."